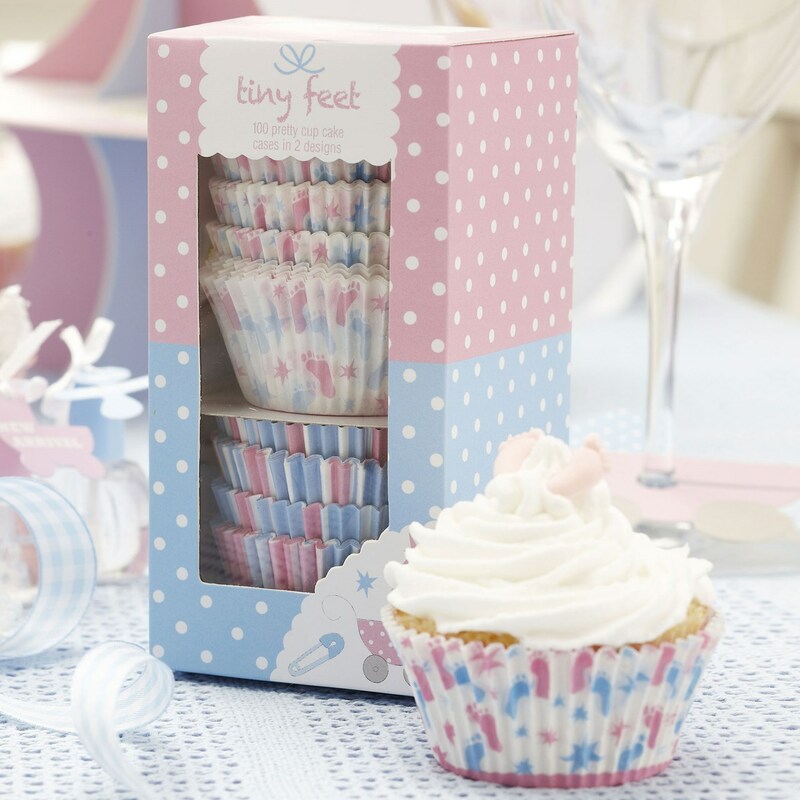 Give your cupcakes a unique touch by presenting them in adorable paper cases from the Tiny Feet range, ideal for christenings, naming ceremonies and baby showers. Cases come in two lovely designs, one with a white background featuring pink and blue illustrations, and the other featuring a smart pink and blue stripe design. Each pack contains 100 Cup Cake Cases.